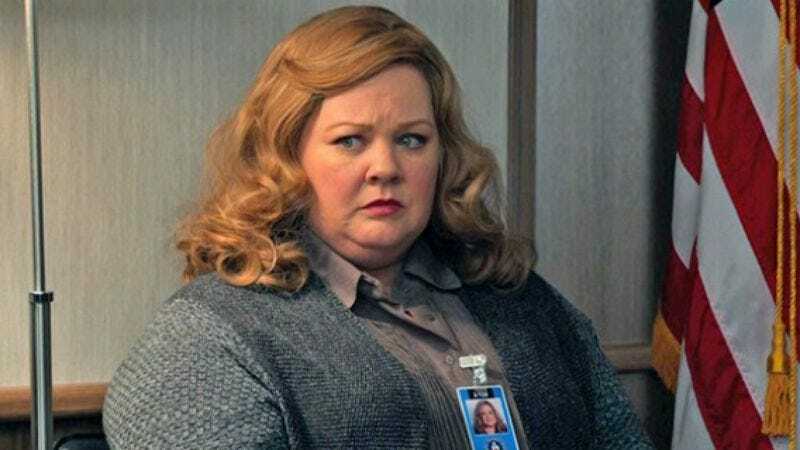 According to Variety, Melissa McCarthy will star in an upcoming dark comedy about forger Lee Israel, titled Can You Ever Forgive Me? Based on her memoir of same name, the story follows Israel, who in the ‘70s and ‘80s made her living writing profiles of famous people like Katharine Hepburn and Tallulah Bankhead. Later, though, when she was struggling to get published, Israel began selling forgeries of letters from deceased writers and actors. Then, after arousing suspicion, Israel simply stole actual letters from library archives and sold those instead. Israel pled guilty to conspiracy to transport stolen property in 1993 and received a sentence of six months under house arrest, hopefully along with a genial wink from the judge because this obviously was one of those fun crime sprees destined to be turned into a light biopic. McCarthy is replacing Julianne Moore, who apparently left the project because of creative differences with its writer, Nicole Holofcener (Enough Said, Please Give). At that point, Holofcener was still slated to direct, but now those reins have passed to The Diary Of A Teenage Girl director Marielle Heller. The A.V. Club praised Diary for being “refreshingly nonjudgmental,” a quality that will probably be useful in telling the story of a person whose defining attribute is her dishonesty.